Just about anyone at the gym can tell you the names of the three heads of the triceps, but few can go on to identify how to position your arms to emphasize each one. It’s pretty important, I’d say, if you want to maximally develop your triceps. When looking to target the bulky long head, here’s a hint: Just look up. That is, you want to position your arms overhead to engage the long head most strongly. That’s because the muscle originates on your scapula (shoulder blade), and it gets fully stretched only when your arms are in an overhead position. For a muscle to contract strongly, it must be fully stretched first. If you’re thinking arms-by-your-sides pressdowns are an effective long-head movement, you couldn’t be more wrong. That said, there are a number of overhead movements that can be done with an EZ-bar, dumbbell, or various cable attachments. Some gyms even have machines in which the arms can be positioned in the overhead position. For me, I always include an arms-overhead exercise in my triceps workout to ensure I’m targeting the long head for growth and maximizing arm girth. On occasion, for a kick in the pants, I’ll even do an entire workout with arms-overhead variations. There are ways you can also shift more focus onto the long head by manipulating the bench on some common exercises. Doing skull-crushers and close-grip benches on incline benches rather than flat ones – movements in which your upper arms are normally perpendicular to your body but are now in a more overhead position – shifts some of the emphasis to the long head. 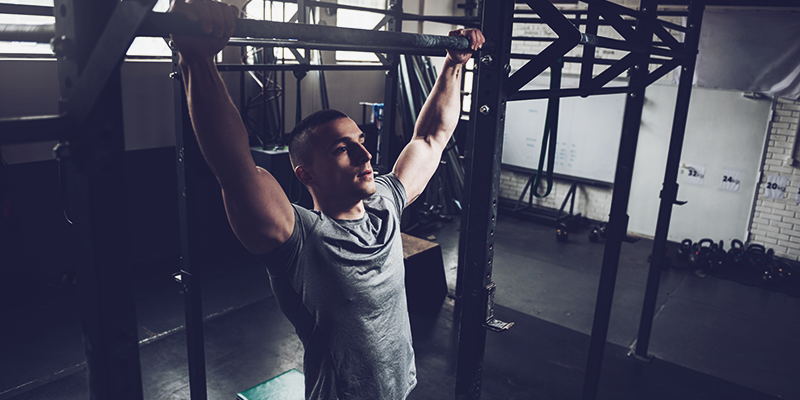 Make it a point to not always position the long-head exercise you do in the same position in your workout and with the same relative intensity (that is, always failing at the same rep target). Doing it first (or last) with a slightly heavier (or lighter) load can result in more complete development than if you always take the same approach. So don’t look down on arm day – look up! Introducing CELL-TECH™ SX-7® Revolution, a powerful formula that features dual-phase ActivSphere™ technology and delivers advanced key ingredients for increased muscle size, enhanced strength and superior recovery. Dumbbell Bench Press Effective with Neutral Grip?